Fantastic multi tie dress from Goddiva. Superb fit that can be tied in many different ways into wonderful styles for most body shapes. 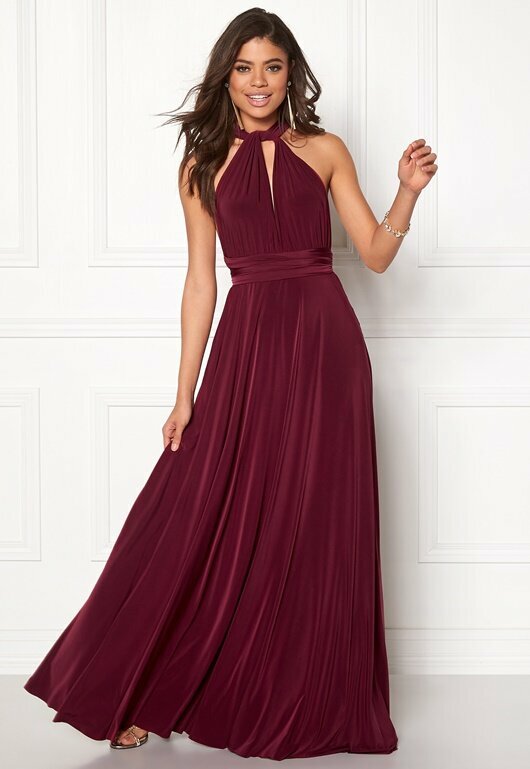 The ultimate occasion dress madd of nicely flowing soft fabric. Versatile. Lined. Back length from shoulder 160 cm, bust 82 cm in size S (UK10). The model is 176 cm tall and is wearing size S (UK10). Hand wash only. Tip, enter "monitor size" and you will receive an email from us when we have it in stock again. Why is the olive green removed? I was going to buy it?